And for the first time in one year and three hundred and sixty four days, I closed our own curtains on our own window and went to bed. 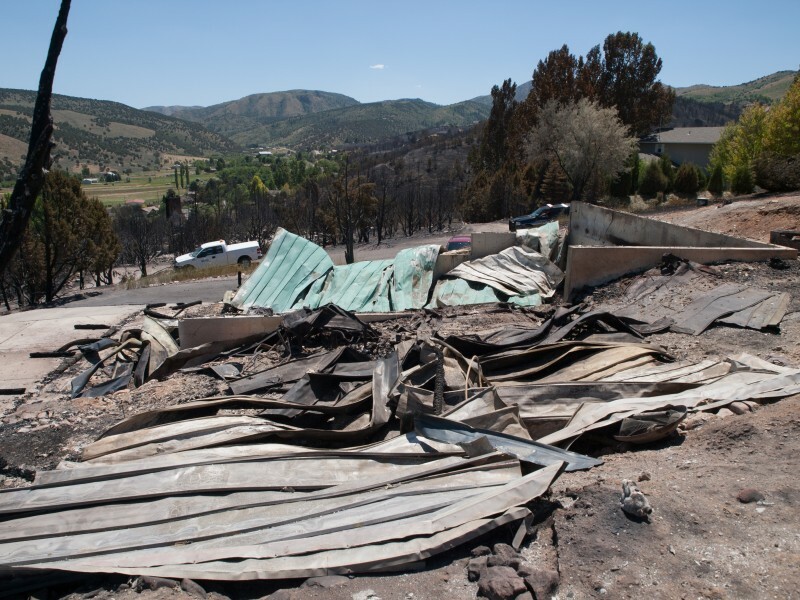 Thus ended our recovery from the June 28, 2012 Charlotte/Mink Creek fire. Tomorrow we enter a new year without the fire as a constant companion. We will always have her as a companion but we will no longer work to recover from her scourge by finding a replacement house or replacement things . They are replaced. Our house as we saw it the first time two days after the Charlotte/Mink Creek Fire raged though our community on the afternoon of June 28, 2012 taking with it 66 houses and 30 barns and other structures. We are re-placed. We have found our place again. The hungry fire, in its mad gambol driven by its own heat this way and that eating this and leaving that, forced us to redefine us and our lives. We are through redefining who we became during this confusing period of temporary housing and temporary things. It is permanency we have yearned for and tonight, as I climb into my new bed in my new room in my new house I feel how they are so much a reflection of us–both before and after the fire–that they are not new.